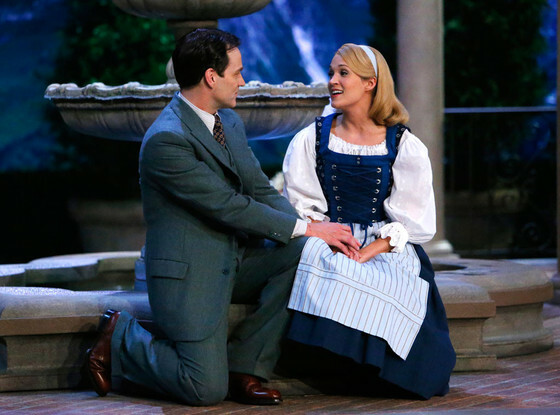 Climb Ev’ry Mountain and make it to the Sound of Music in LA! The Sound of Music in LA! The Sound of Music is a beloved musical and movie that has delighted audiences for generations. Who can forget the story of the delightful von Trapp family and Maria, the governess that cares for them? This classic musical will be at the Ahmanson Theatre in Los Angeles from September 10th through October 31st. Don’t miss out on this great event for the whole family. Tickets are now on sale. One of the beautiful things about The Sound of Music is all of the musical numbers in the play. Sing along to classic tunes such as the upbeat, “My Favorite Things,” the sweet “Sixteen Going on Seventeen,” and the enchanting “Edelweiss.” Other classic songs from the musical include, “The Sound of Music,” “Do-Re-Mi,” “So Long, Farewell,” and “Climb Ev’ry Mountain.” Come along on the spirited and romantic journey of Maria and the von Trapp family just as WWII is on the brink. Maria is a beautiful and caring young woman who comes into the life of the von Trapp’s, a family that has recently lost their mother. Through their journey, the children become happier, and Maria becomes close with Captain von Trapp, the head of the family. If you’re looking for popular musicals playing in LA, this is a great choice! The Sound of Music will be playing at the Ahmanson Theatre at the Music Center located in Downtown Los Angeles. Tickets range in price from $45 – $130. Rates depend on the location of your seat as well as the day of the performance. Most evening shows take place at 8 pm. Matinee shows are also available on weekends. For more information on tickets, as well as to purchase tickets, visit centertheatregroup.org. The Music Center is located at 135 N. Grand Ave. Los Angeles, CA 90012. Come and watch this fantastic musical with the whole family. Get your tickets today!